Welcome to the July/August Newsletter. As we move into the summer, the Centre will soon be taking its annual break (see News in Brief), as we're sure many of you will. Here's wishing everyone a good break and may you all return refreshed and ready for the many events we have lined up for the remainder of the year. Summer break - we will be closing at 9.00 pm on Sunday 26th July and will reopen at 9.00 am on Saturday 15th August. August retreat with Lama Zangmo at Samye Ling - from 22nd-30th August Lama Zangmo will be leading a retreat which will explore how we can develop the three important qualities of courage, confidence and compassion and look at what hinders us in the process of that development. Drawing the Medicine Buddha - with Ani Semchi takes place on the weekend of the 5th-6th September. Learning to draw a deity can be a powerful aid in visualisation, and the Medicine Buddha is one of our regular practices at the Centre. Anxiety - a mindful approach with Alistair Appleton is also on the 5th-6th September. See the website for further details. Khenpo Damcho Dawa Rinpoche - unfortunately Khenpo Rinpoche has not received the necessary permissions to come to Europe this year and so will not be teaching in London this September. This is a big disappointment for all of us who were hoping to receive more of his clear and inspiring teachings. However we hope and pray he will be able to visit next year. The recent fundraising event for ROKPA which included a Skills Auction raised a Grand Total of £3,199.00. A Big Thank You to everyone who participated so generously, by giving their time, their skills and their money to the event. All the funds go to Nepal, helping those in need. Finally - don't forget that you can keep in touch with the latest goings on at Samye Dzong by following us on Facebook. 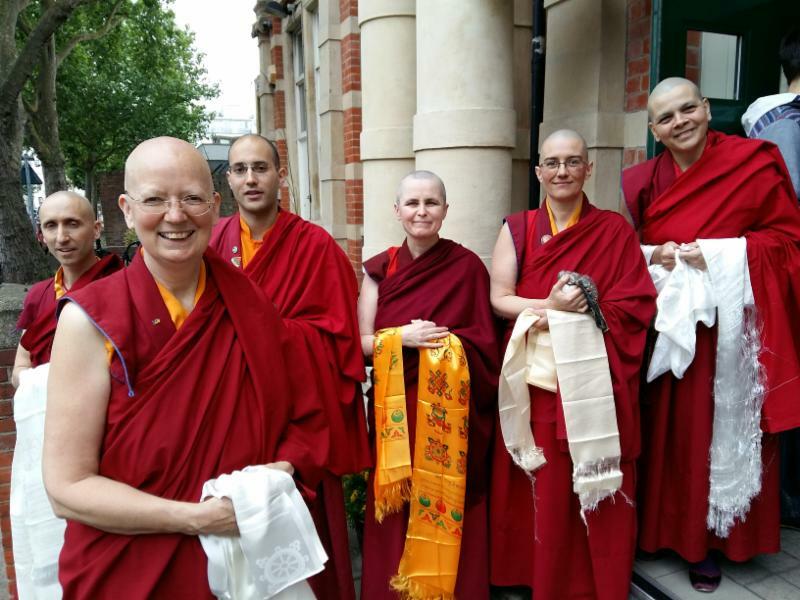 We are very happy to welcome Ringu Tulku Rinpoche at Kagyu Samye Dzong London this coming weekend, 11th -12th July, when he will give teachings on Buddha Nature from the text The Mahayana Uttara Tantra Shastra. "All sentient beings without exception have buddha nature-the inherent purity and perfection of the mind, untouched by changing mental states. Thus there is neither any reason for conceit in deeming oneself better than others nor any reason for self-contempt, thinking of oneself as inferior and unable to reach enlightenment. This seeing is obscured by veils which are removable and do not touch the inherent purity and perfection of the nature of the mind as such." The Mahayana Uttaratantra Shastra, one of the Five Treatises said to have been dictated to Asanga by the Bodhisattva Maitreya, presents the Buddha's definitive teachings on how we should understand this ground of enlightenment and clarifies the nature and qualities of buddhahood. Ringu Tulku Rinpoche is a Tibetan Buddhist Master of the Kagyu Order. He was trained in all schools of Tibetan Buddhism under many great masters including His Holiness the 16th Gyalwang Karmapa and His Holiness Dilgo Khyentse Rinpoche. He took his formal education at Namgyal Institute of Tibetology in Sikkim and Sampurnananda Sanskrit University in Varanasi, India. He served as a Tibetan Textbook Writer and Professor of Tibetan Studies in Sikkim for 25 years. The teachings take place at Spa Road on Saturday 11th July from 11.00 am - 4.00 pm and on Sunday 12th July from 10.00 am - 4.00 pm. Drawing upon the traditional construction guidelines of the classical Uchen script, Tashi leads an intensive course in how to correctly form the letters of the Tibetan alphabet, vowels signs and subjoined letters. Tashi will also give a public talk on the role of Calligraphy and art within Dharma on Friday 24th July open to all. For those attending the workshop it is advised to bring along your own writing implements and materials. 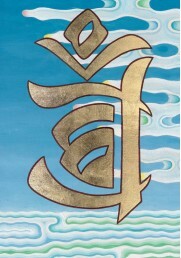 Tibetan Calligraphy with Tashi Mannox takes place on the weekend of 25th-26th July, 10.00-5.00 pm. On the evening before the workshop, Friday 24th, 7.00-8.30 pm, Tashi will also be talking about The Role of Calligraphy and Art within Dharma. 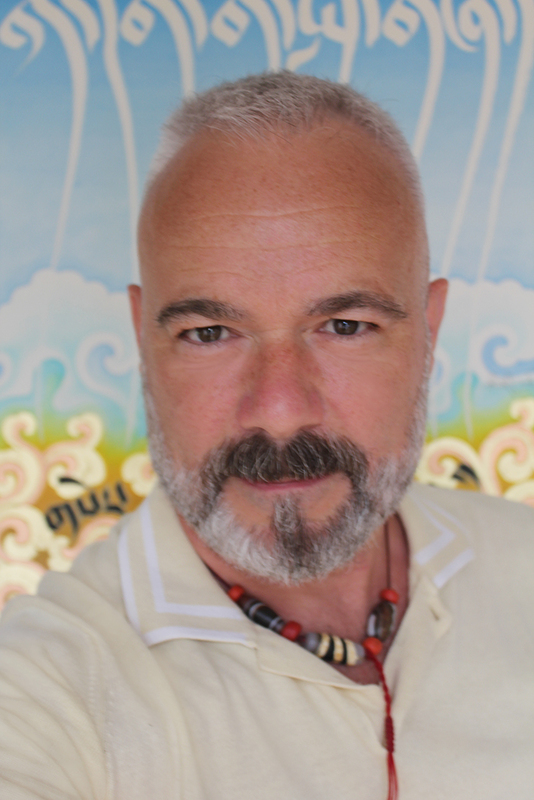 His presentation will include the sacred meaning of writing and iconography in Tibetan Buddhism and its role in the practice of Dharma. PLEASE NOTE - This workshop must be booked in advance and, as it is not a Dharma course, it has a charge of £55 for attendance and the talk on Friday evening is £10. You can book your place using the link at the bottom of the course page. The foundation for ethical conduct and good behaviour is non-attachment and carefulness. Non-harming is the essence of Buddhism but leaving a 'small footprint' is not always easy. The secret of good health for both mind and body is not to mourn for the past, worry about the future, or anticipate trouble, but to live in the present moment, wisely and earnestly. Join us every Sunday morning at 8.00 am for Green Tara which is a practice that helps to remove fear and obstacles. As the Centre's main doors are not open until 9.00 am, please let us know if you are planning to attend. Carefulness and ethical conduct are the foundation for patience and non-aggression. Patience and tolerance develop out of good self-discipline. When we have good self -discipline it is not difficult to be patient. We are delighted to announce that Ringu Tulku Rinpoche will be teaching at Samye Dzong London in July. Full details of the programme will be available nearer the time. Employing the skilful techniques of mantra and visualisation the Medicine Buddha practice is an effective way to balance the physical, mental and spiritual health of ourselves and others. A joyful approach and sustained interest will mean we can progress and achieve something. It is a state of mind that takes joy in positive activity. It gives power to our spiritual practice. When we study and reflect on a teaching, we should choose a text that provides a broad understanding of the Buddha's teaching as a whole. Meditative stability refers to a state called pliancy (shinjong in Tibetan). It literally means 'thoroughly trained' or 'thoroughly purified'. It has two aspects - pliancy of body and pliancy of mind. Both our Spa Road and Manor Place centres will be closed for their annual summer break from Monday 27th July and will re-open on Saturday 15th August.